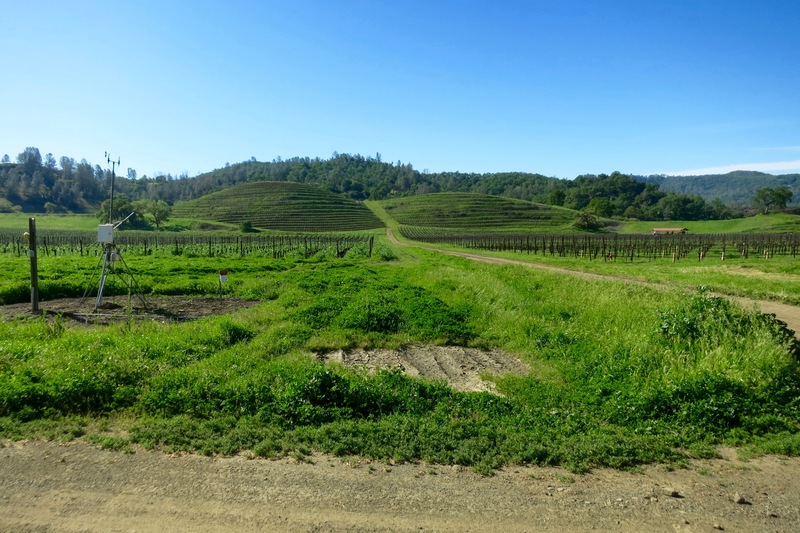 If you’ve wandered down the big road of Highway 29, you have definitely seen the almost lime green sign of St. Supery alongside the rows of wineries. 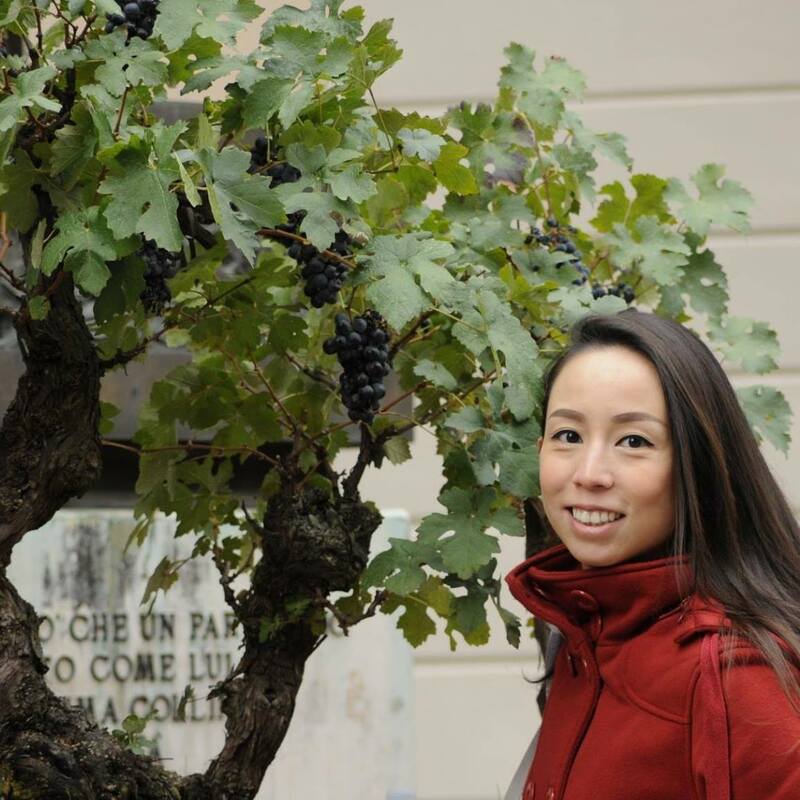 Maybe you’ve heard that they were bought by Chanel or perhaps you’ve thought about stopping by, or have visited it and had a good time; but there’s something absolutely beautiful behind the estate and the winemaking that goes on there. We were lucky enough to get a peek into all the magic behind creating the experience of an iconic winery along the Highway 29. Our morning started out a little different than most, as we met up with Emma Swain, CEO of St Supery and after some coffee and bagels we were off… to the Dollarhide Ranch which was nowhere near Highway 29. 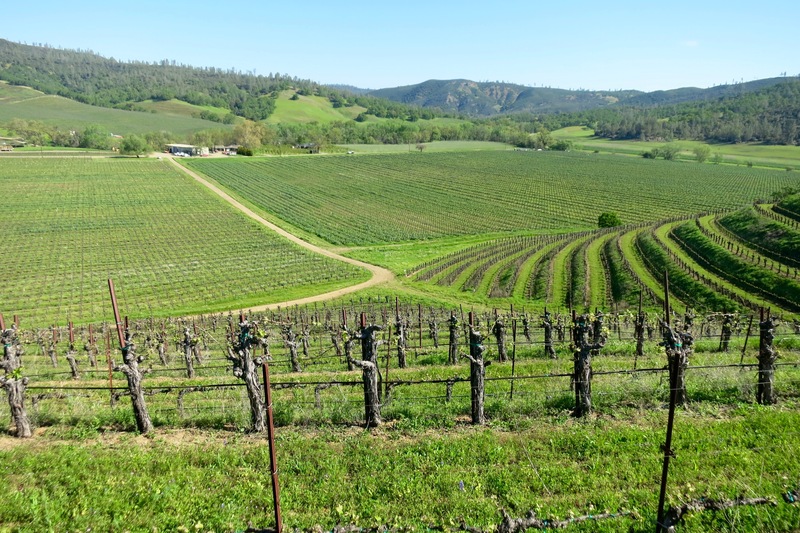 Nestled in Pope Valley, the Dollarhide Ranch is the ground that grows the distinctive Cabernet Sauvignon and Sauvignon Blanc grapes for St. Supery among other varietals. 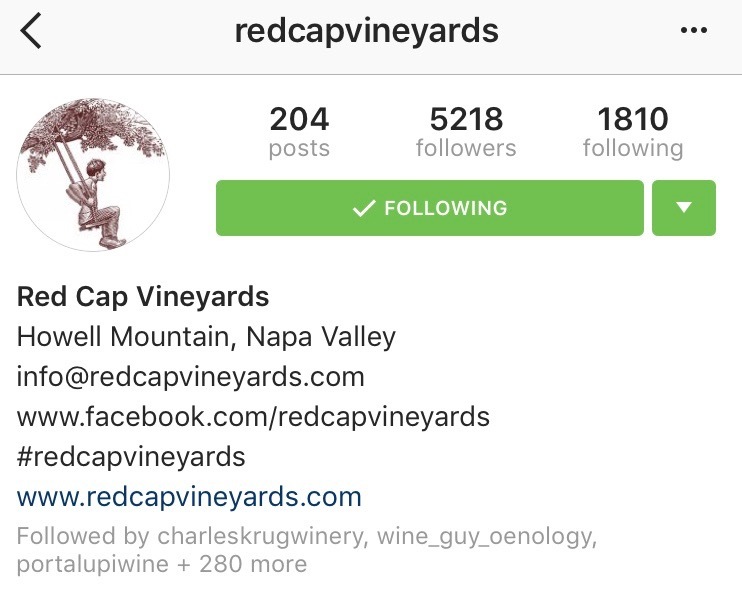 There’s probably only one winery who has truly embraced the power of social media marketing in this era, and as the pages of of time have begun to turn into the era of millennial-dominant wine purchasing power, that winery is Red Cap Vineyards. When one sees the Costco brand, cult wine usually isn’t the first thing that pops to mind. Perhaps luxury wine at cheaper prices, but nothing about Kirkland or Costco made really screams “cult wine.” However, with the emergence of Sinegal Estate, that idea has completely changed. David Sinegal, the heir to the Costco Empire, after spending 20 plus years working for Costco, he decided to start something different on his own after falling in love with a old victorian house in Napa. After purchasing the Victorian house and estate roughly two years ago, David Sinegal decided to venture into the world of wine. Enlisting the help of heavyweight winemakers Anthony Biagi (Plumpjack, CADE, Odette), Ryan Knoth (Staglin, Gandona), and the help of an excellent farmer Matt Hardin (Barbour Vineyards), David was on a fast track to having all the pieces he needed for fantastic wine. The vision of Sinegal Estate did not end there with just cult wine, instead, it stretched farther into creating a luxurious estate for all future members of the mailing list. With large and beautiful gardens, a pond, tennis courts, a member here could essentially be checking into a resort for a few hours enjoying some of the most sought out and quality wines money can buy. But, of course the Costco brand influence wasn’t left out, as the first vintage of the cult wine would release at under $100 (quality for cheaper). It was safe to say with all of the buzz coming out of the valley, we were due for a visit. We were fortunate to get an appointment with a few friends, and set off to check out the new hype. Unfortunately it was raining that day and were unable to tour the property, but we really went for the wine, so it wasn’t really a problem. For the most part, the winery was still under construction, but we were still hosted in a cozy room. While it isn’t often that we don’t personally go visit a vineyard or winery to get a better understanding of the expression behind a wine, sometimes the wine is brought to us. We were fortunate enough this time around to have the vineyards delivered to us from a winery called La Pitchoune. 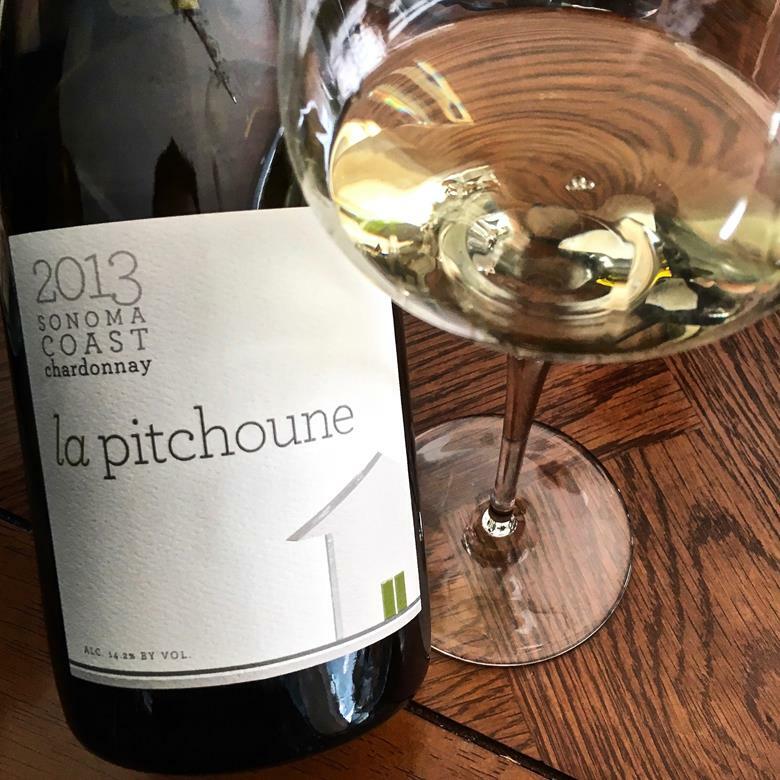 Nestled in Sonoma, La Pitchoune has been quietly making some small production wines that are nothing short of marvelous. Since the wines were brought to us instead of going to the destination, we couldn’t say much about the property, winemaker or its owners, and so we dove straight into the wines and let them speak for themselves. We tasted in total of 3 different Chardonnays, and 5 different Pinot Noirs, all of them being current releases. Being wine lovers, we’re always looking for the next best thing on the horizon, through our journey in the last few years, we believe we’ve stumbled upon a rising star in winemaking. Julien Fayard is a winemaker that has been our radar for quite some time, and he has started to begin making big strides in the Napa Valley. Julien Fayard was born and raised in Saint-Étienne, France in where he would eventually get his masters in agribusiness and winemaking at the School of Agricultural Studies of Angers and PURPAN Engineering School. He would eventually go on to get more degrees at Paul Sabatier University in France and his MBA and University of California, Davis. With a seasoned wine and agricultural background, he would eventually intern at Chateau Lafite Rothischild for a year then find his way to Quintessa in 2003 for a few months. He eventually would take a Assistant Winemaking position at Chateau Sainte Maguerite for two years before moving home to be the Managing Director for Atelier Melka of Philippe Melka. At Atellier Melka, he would work on projects such as Melka’s own Metisse, Lail, Dalla Valle and Parallel. During that time, he would open his own consulting business as a Consulting Winemaker under the name of FayardWines. Studying under the legendary winemaker Philippe Melka really cemented his style of winemaking and allowed his name to become a sought after winemaker. He opened his own label of Azur wines in April of 2008 and eventually in 2012, co-founded Covert Estate in Coombsville with his wife, and two partnering families, the Nicholson and Nestor families whom were long time wine collectors. 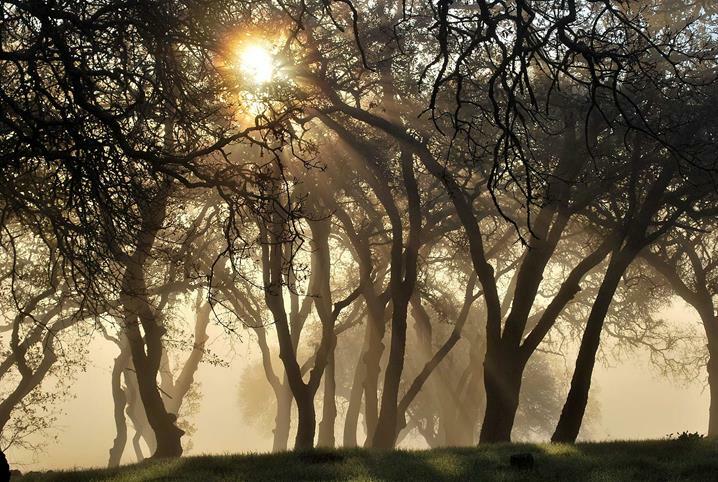 Covert Estate, being a relatively young winery, is situated in the hillsides of Coombsville, an up and coming region that produces some amazing fruit in Napa. Unsurprisingly, the winemaking technique used there by Julien is the same approach as what he learned from Melka, a Bordeaux expression of letting the vineyard and soils speak for themselves. We were fortunate to get in touch with the Hospitality Maven Kristi, who graciously invited us up to the estate. It’s been long known among the high end wine collectors and enthusiasts in the world that wines made by Philippe Melka sit among the top in the world. With a resume that commands big shot names like Chateau Haut-Brion, Chateau Petrus, Hundred Acre, Dominus Estate, Byrant Family, Dana Estates Moone-Tsai and much more, it’s not a wonder he was named one of the Top 10 winemakers in the world by Robert Parker in 2015. Philippe spent his childhood growing up in Bordeaux, eventually getting a degree geology at University of Bordeaux. During his last year in school, he took a wine course (because why not?) that would change his life. Immensely intrigued by the wine making process, he began interning at Chateau Haut Brion and Chateau Cheval Blanc, in where he eventually completed his masters in Agronomy and Enology. Wanting to learn more, Melka set off to discover more about wine, traveling the world to Australia, Chianti, and fatefully, eventually Napa Valley where he worked at Dominus with Christian Moueix, and Paul Draper from Ridge Vineyards. It was at Ridge where he met Cherie, who was the lab manager at there, who would eventually become his wife. Both wanting to no longer be apprentices, Philippe and Cherie decided to stay in California, where opportunity was bigger, and allowed more chances to experiment and explore, where as in France, rigid structures were to be followed in winemaking. After years of consulting, Philippe and Cherie opened up Melka Wines, in 1996, celebrating their first vintage of a Bordeaux styled Red Wine labeled Melka Metisse. Soon after, Melka’s success would eventually lead him to 3 more labels, the Mekerra, Majestique and CJ. Under each of these labels, would come forth an array of wines from blends, to single vineyards. We were fortunate to get connected with Sylvie Laly, who graciously hosted us. Melka Wines in no way was some grand estate with gorgeous views and giant vinyeards, in fact it was just a giant metal barn, on a piece of property that was still being developed. However, inside the barn, was a beautifully set up tasting area that reminded us of a cozy home, and it really helped set the mood. We started off with with the 2012 Melka CJ Cabernet Sauvignon blend, which was named after their kids Chloe and Jeremy. The goal of this wine was to really make a great value wine, which would show off the youthful spirit of their children. With the growth and resurgence of wine consumption in the latest years, many athletes and celebrities have been adding their names to wine labels as another source of income. With this shift in wine marketing, more often than not, the wine quality doesn’t represent the same amount of prestige behind the celebrity names. However, sometimes, you find a celebrity who cares for the quality and art behind wine, and what comes out of it is a big name behind a great wine. Red Stitch Wine was founded by three families, the Aurilias, Miceks, and Roberts families through years of friendship and wine tasting together. After Rich Aurilia and Dave Roberts retired from Major League Baseball in 2008, they sought out to really get serious in entering the wine business. Having multiple tastings with famous winemaker Rolando Hererra (Mi Sueno, Baldacci, Noemi, etc.) they developed a great relationship with him, which eventually led into the partnership as winemaker of Red Stitch Wines. 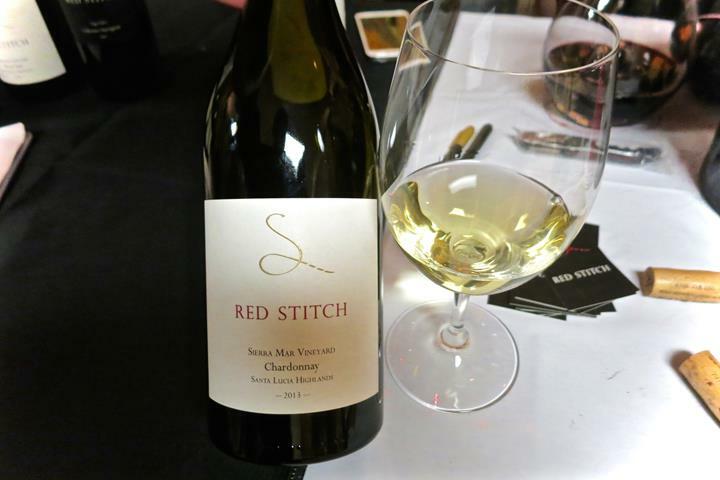 Since their inaugural vintage in 2007, Red Stitch really established themselves as a boutique producer of world-class wines with big celebrity names behind it, while giving a subtle nod to their baseball background with the red stitches that cover a baseball. We managed to come across wines from Red Stitch a couple of years back, and found their wines to be incredibly well made and we were fortunate enough to try their recent vintage releases. One of the best wine events held yearly in San Francisco is the Wine & Spirits Top 100 Event, where all the winners showcase their prized award winning wines for the public. We were lucky enough this year to do media coverage for the event! It was an amazing event, featuring your well-known superstars, to international giants, and new and upcoming wineries as well. There was food from local restaurants and bakeries to compliment the wines presented during this evening too. The location was set on the top floor of San Francisco’s METREON, a gorgeous view with wine, food, and gorgeous views, it was certainly one event not to miss. We covered over 60 wineries there in the limited time we had, but here were some of our favorites of the night. Among the heavyweights and powerhouse superstars, a very familiar face came in leading the pack. Penfolds was there in full force, pouring not only their Bin 407 Cabernet Sauvignon, but they poured two vintages of their flagship, the world famous Grange Shiraz. As their pedigree would suggest, the wines were absolutely world class. 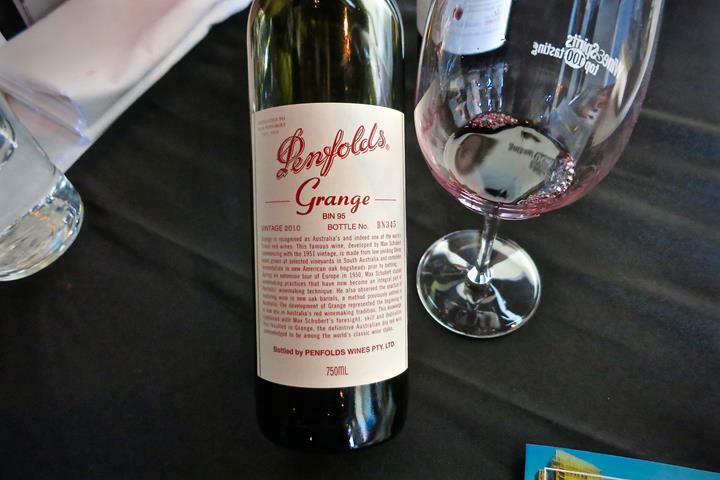 The 2010 Penfolds Grange Shiraz was an absolute stunner, with rich notes of black fruits, tar, spices and chocolate. The potential behind this wine was breathtaking and was such a treat to taste, a great showing of why they deserved to be here. 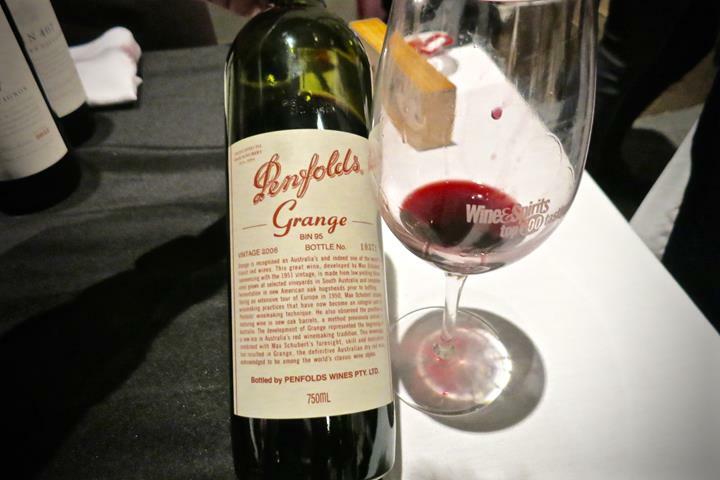 The 2006 Penfolds Grange Shiraz was a showcase of how world class Shiraz would age over time, and it was absolutely gorgeous. Big notes of mint and blueberry, with a great structure and backbone, velvety finish that shows elegance and power. Add together an exclusive piece of land in St. Helena, a super star vineyard manager, and two legendary winemakers, and what do you have? You have Revana Vineyards, makers of world class Cabernets. In 1997, Dr. Madaiah Revana, on a trip to Napa, came across a patch of land up for sale in St. Helena. Already knowing that this was a region of creating some of the top wines in the world, he bought it and sought out to hire the best team to make the wines that would be considered first class. It didn’t take him very long to find the rockstar vineyard m anager Jim Barbour who’s portfolio already included such mega names as Grace Family, Hundred Acre, Checkerboard, etc. Shortly after, he assembled the next piece of the rockstar lineup by getting acclaimed Heidi Barrett (Screaming Eagle, La Sirena, Lamborn, etc.) as his winemaker. 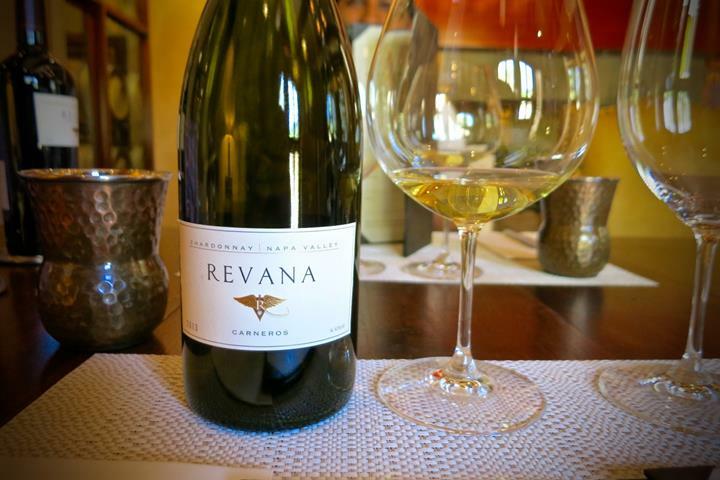 With Heidi Barrett leading the way, Revana went on to make world-class wines, even catching the Wine Spectator’s #4 spot in the top 100 wines of 2010. In the year of 2011, following the departure of Heidi Barrett, Dr. Revana brought on board another heavy hitter winemaker Thomas Rivers Brown (Schrader, Pulido Walker, Round Pound, Chiarello, etc.) to take the wines to the next level. We were fortunate enough to get a tasting reservation, which in itself, was already a task and were prompted greeted by Lionel as we made our way through the gate. 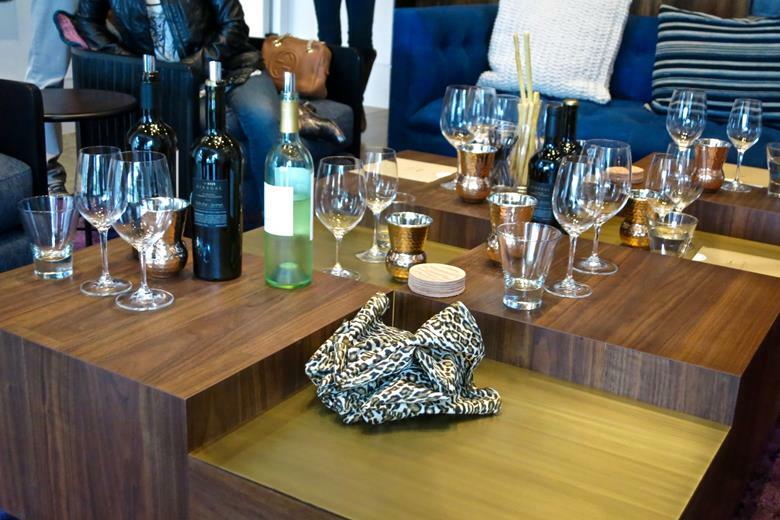 We sat down in the small but cozy tasting room and were immediately treated to the wines. It should be noted that we were here for a tasting and not a full tour.